Check in the write checks/cheques windows or in the check register: Use Ctrl + O to copy the check.You can then use Ctrl + V (paste) to create a copy of that check if you are in the check register. Refresh list. You only see this if you are in multi-user mode when you have a list open. This will force QuickBooks to go back to the database server and retrieve the latest copy of the list. If multiple users are editing the list, this may be useful. Note that all open lists at the same time should be refreshed. To run a Quick Report, highlight an account, customer, or vendor then press Ctrl + Q to pull up the report. If the cursor is in a field that has a drop-down list, such as selecting the item in an invoice details line, this will open the list associated with that drop-down. Use the item from the list that you have just opened using Ctrl + L.
Search. If you have the Product Information window open (by pressing F2), pressing F3 will open the tech help window. This provides a wide range of system and diagnostic information, as well as a quick way to view and edit a number of support and technical files that relate to QuickBooks operations. To increase the number in a form, such as a check/cheque number or invoice number, highlight the number you want to change. To decrease the number in a form, such as a check/cheque number or invoice number, highlight the number you want to change. 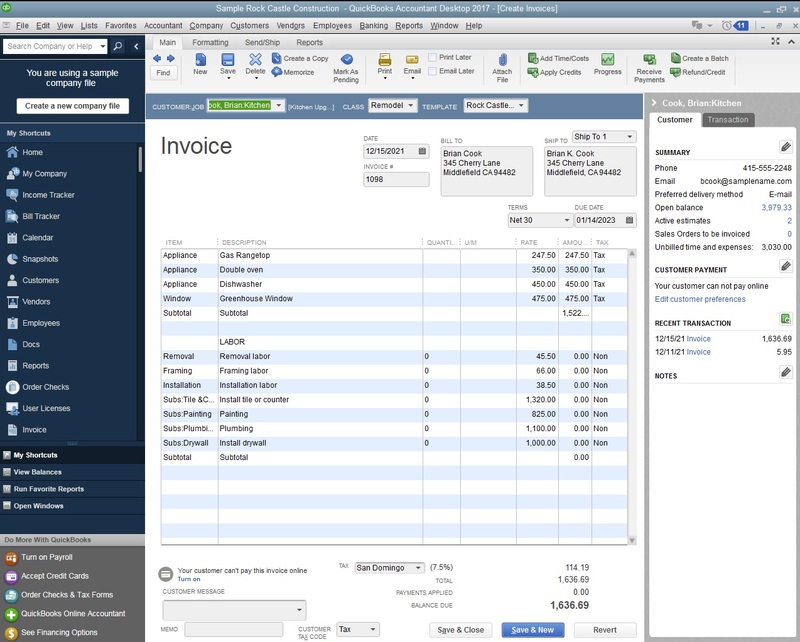 To start QuickBooks without opening a company file, press Ctrl while opening QuickBooks. To suppress or not open the desktop windows (at Open Company window), press Alt while opening a company file. If you have been trying to register QuickBooks, and you have been given a “validation code,” you can easily enter the code as needed. Open QuickBooks, select Help and then About QuickBooks.When the product splash screen shows, press Ctrl+R+P. This opens the window that lets you enter your validation code. Set up YTD Amounts. Select Help from the QuickBooks menu, then select About QuickBooks which opens the splash screen with license and other info. At this point, press Ctrl+Alt+Y and you will get a window that lets you enter year-to-date amounts for payroll. Copy line in an Invoice*. What is your favorite QuickBooks Desktop hotkey? Do you have any useful tips for program? Let other users know below.